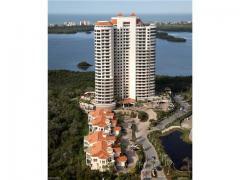 Grosvenor is a Pelican Bay high-rise condo tower with a newly renovated lobby, 24/7 security, pool, spa and BBQ area. The beach tram even picks you up from your back yard! Grosvenor residents also enjoy the long list of Pelican Bay amenities including private beach access with waterfront restaurants, chairs, umbrellas, fitness center, tennis courts and more. Have any comments or questions about Grosvenor? Ask your question and/or share your thoughts about this Building.